Tensions between the two nations are reaching boiling point as the Kremlin reacted this morning to the latest from London. A Kremlin spokesman said Russia won't accept baseless accusations of its involvement in poisoning and that Moscow had no connection to the attack on a former spy in Salisbury. The spokesman added that Russia remains open to cooperation with the British investigation and hit out at May saying that Putin hoped common sense would prevail. She said: "Common sense shows no evidence of Russian involvement. Any unlawful British actions against Russian media will result in a Russian response." When probed on when a response might come, the spokesman said it was too early to say what the Russia reaction might be. Russia last night issued a chilling warning to Britain not to threaten a nuclear power. 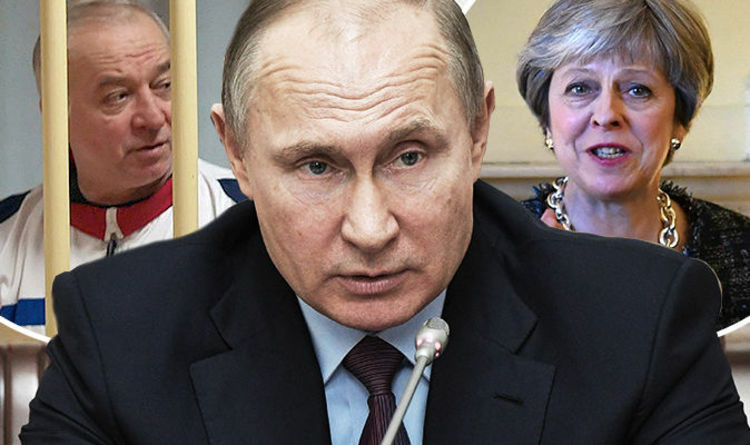 Theresa May has accused Russia of direct involvement in the poisoning of former spy Sergei Skripal who was targeted with a military-grade nerve agent. The PM s expected to impose tough sanctions against Moscow this morning, including booting out Russian diplomats and seizing assets from Russian cronies. Russia is not afraid of any ultimatums the United Kingdom opted for in its investigation into the poisoning of former colonel of Russia’s Main Intelligence Directorate Sergey Skripal and his daughter, said Russian Permanent Representative to the EU Vladimir Chizhov in an interview with TV channel Euronews. He said: "Unfortunately, London opted for a language of ultimatums. I can say that the language of ultimatums won’t be of any help in dealing with Russia, as Russia is not afraid of anything. I think that both London and other western capitals could see it for themselves. I am disappointed with the debates that are being held in the British parliament and the official statements that are made instead of looking into the whole situation and involving Russia in the investigation." The UK "is in fact violating the Chemical Weapons Convention, pursuant to which it was obliged to deliver corresponding objective evidence, including samples of that agent, to the party that had fallen under suspicion."